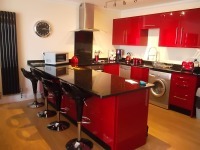 Ground Floor two bed apartment, with amazing sea views. Sleeps 4/5. Ground floor, two bed spacious apartment, with conservatory. sleeps 4/5. First Floor, two bed apartment, sleeping 4. Second Floor two bed apartment, sleeping 4. 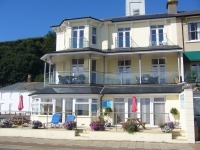 This is a delightfully presented three storey house which sleeps five with beautiful views over the sea and cliffs.